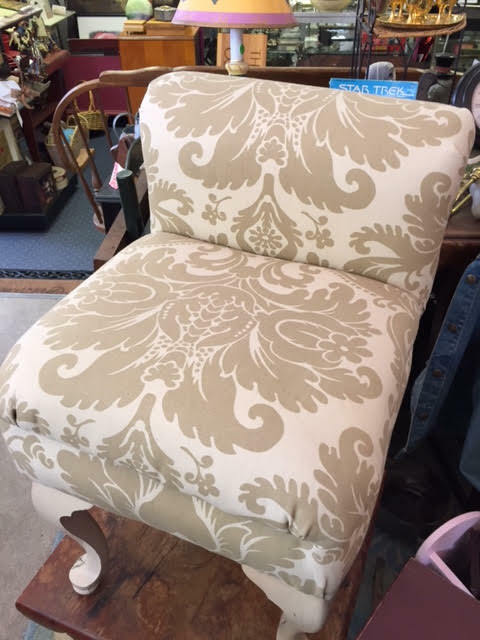 We got this lovely boudoir side chair at an estate sale in the Kennebunkport area. It’s fabulously unique – it’s sort of like an exquisitely enhanced footstool. Whatever or however one wants to define it, our little boudoir chair will add a touch of elegance to any room! Condition: Excellent! It does have a smudge on one of its legs but otherwise is in great condition..
Dimensions: About 24″H x 12″W x 12″D. Price: $35.00. Plus the expected 5.5% State of Maine Sales Tax, of course. 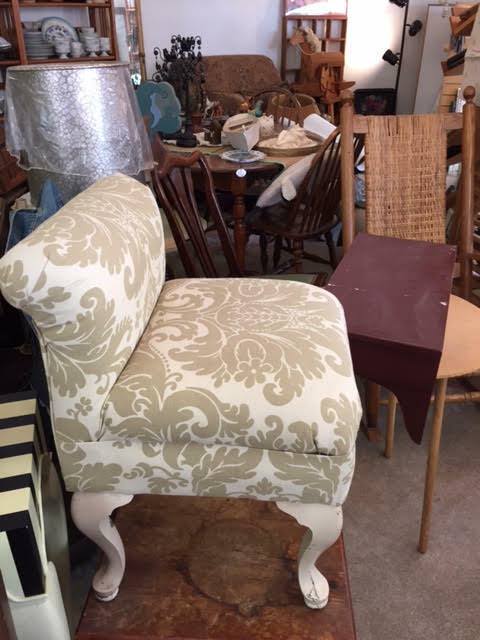 This entry was posted in Furniture - Miscellaneous, Furniture - Ornate, Home Decor, Shabby Chic and tagged boudoir chair, elegant stool, Heritage Collectibles, side chair. Bookmark the permalink.